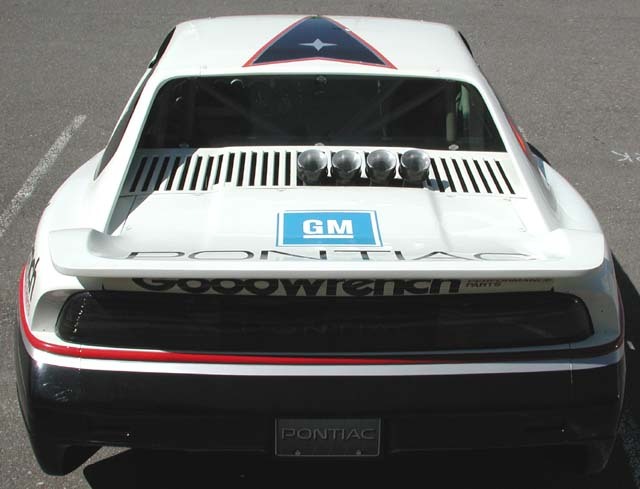 ...Chevrolet's fear that Pontiac would develop a Corvette fighter at half the price contributed to GM’s "pull the plug" decision, according to GM insiders. 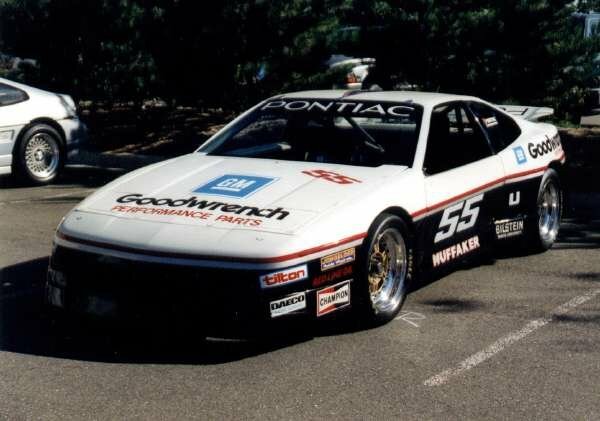 Goodwrench Pontiac Fiero IMSA GTU: Huffaker Engineering. 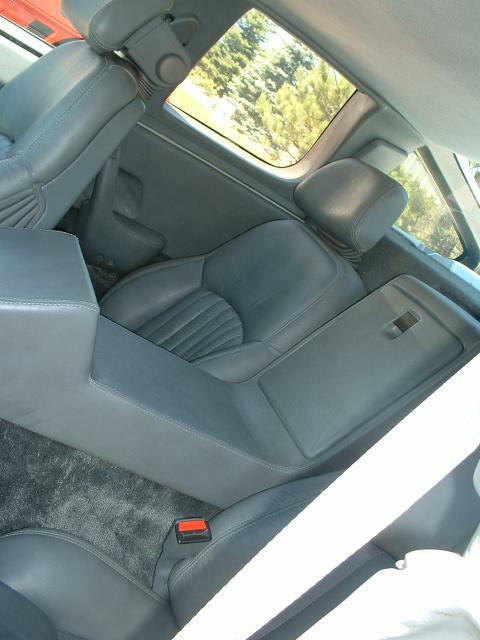 Recently sold at Barrett-Jackson Auction in Scottsdale, Arizona. 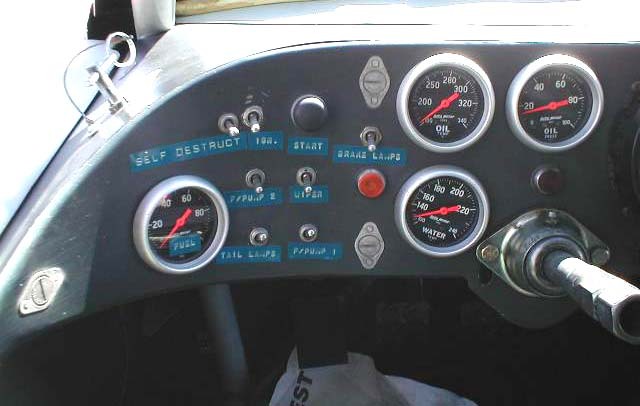 Goodwrench Pontiac Fiero IMSA GTU: Interior. 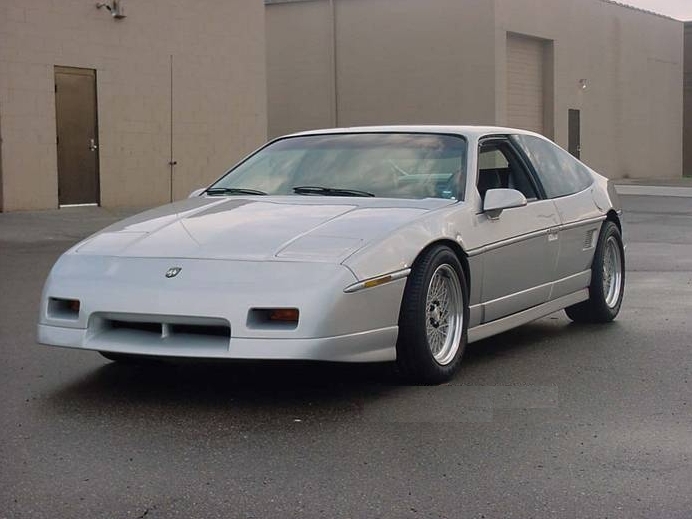 Pontiac Fiero 1986 2+2: As the name implies, this specially designed Fiero holds four passengers. 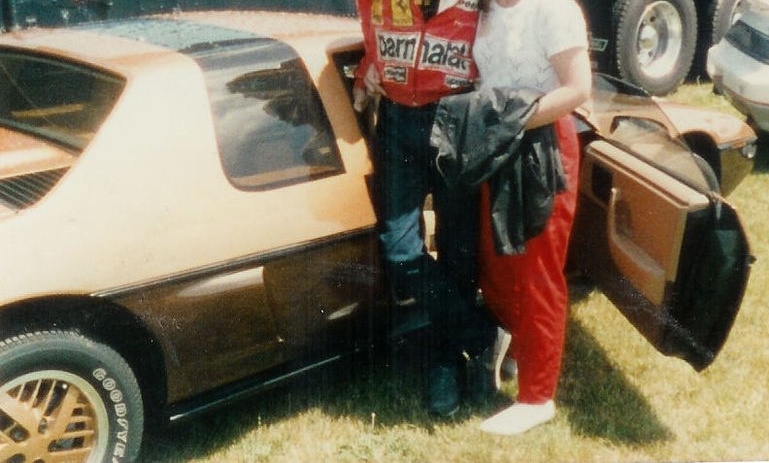 It was a prototype designed to test the adaptability of space-frame technology to larger vehicles. 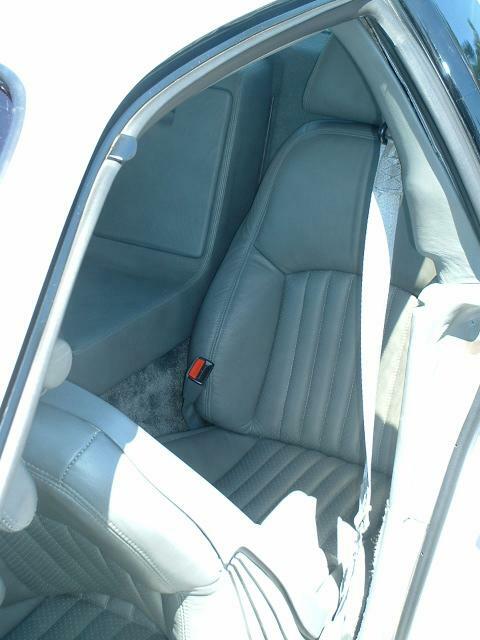 Originally, this car was bodied as a non-GT with a notchback roofline. 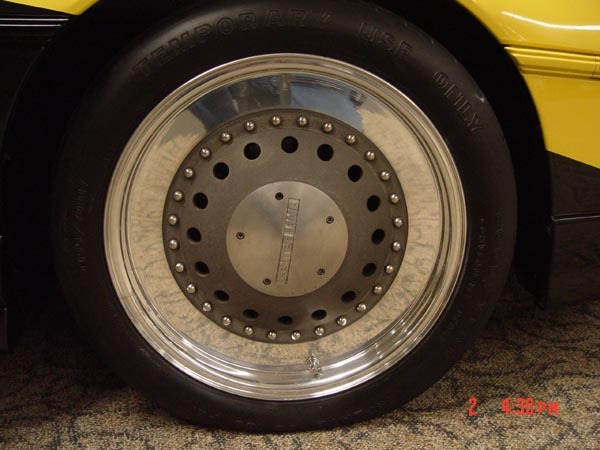 Recently sold at Barrett-Jackson Auction in Scottsdale, Arizona. 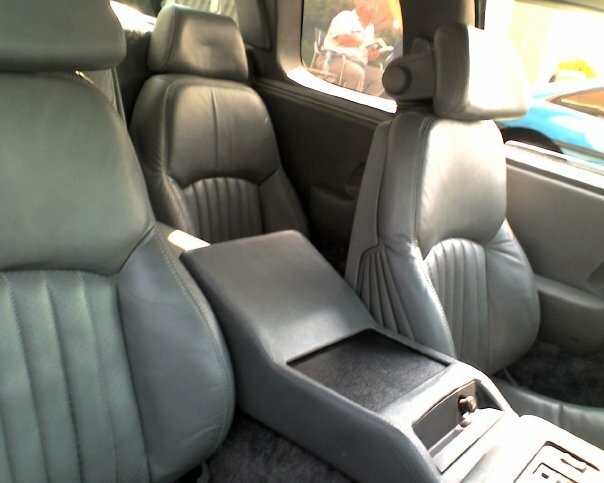 Pontiac Fiero 1986 2+2: Front Interior. 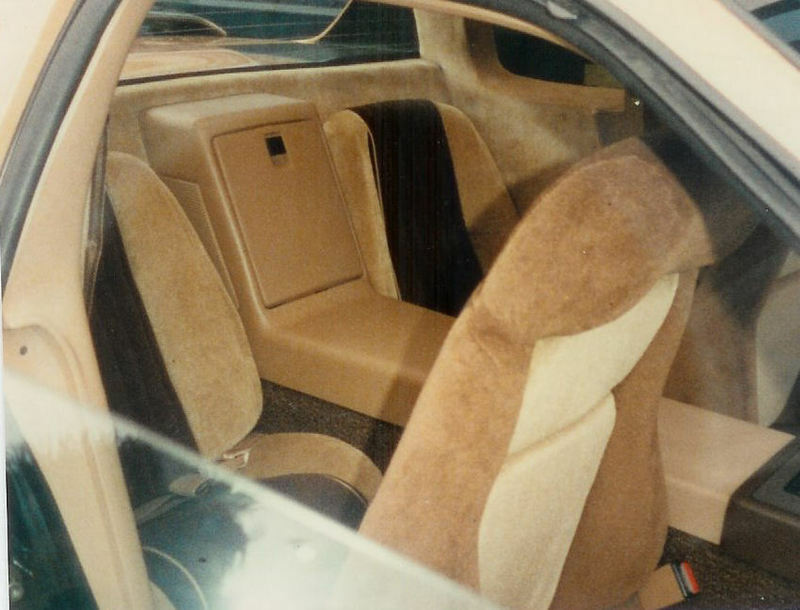 Pontiac Fiero 1986 2+2: Rear Interior. 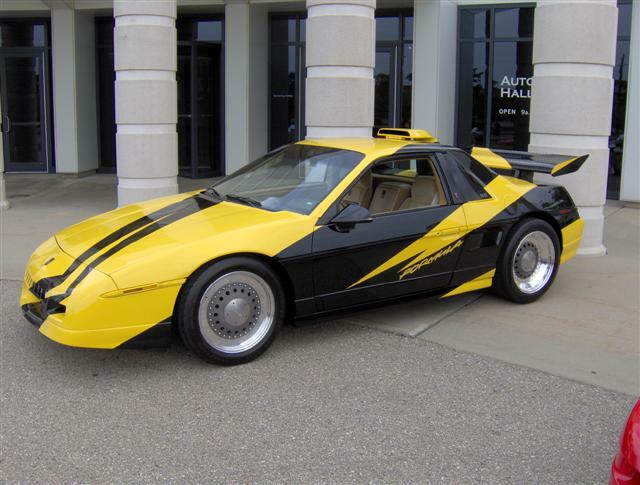 Pontiac Fiero 1987 "BumbleBee" Formula: This vehicle was rumored to produce 270+ HP (at 7000 RPM) with its 16-valve Super Duty engine and made 240 lb-ft of torque @ 5500 RPM. 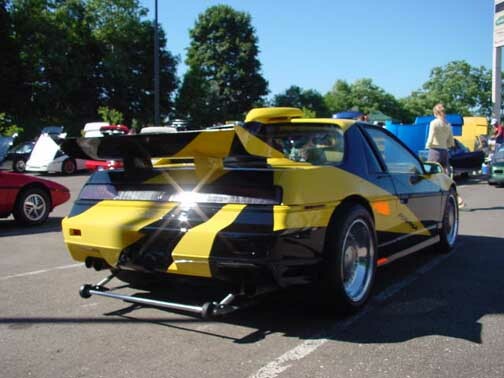 More specifically, the BumbleBee ran 13.37 at 102.11 and had a 0-to-60 time of 5.39 seconds. 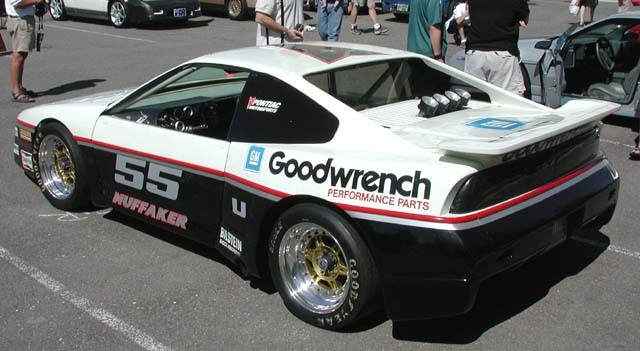 Prior to being auctioned off at the Barrett-Jackson Auction in Scottsdale, Arizona, in 2009, the Super Duty engine was taken out by GM and replaced with the stock 2.8 L V.6 motor, with all the drag racing chassis parts still left in it. 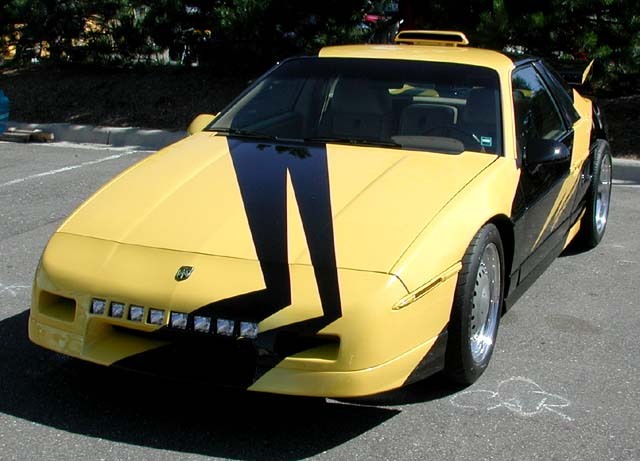 Pontiac Fiero 1987 Formula: Front Headlights. 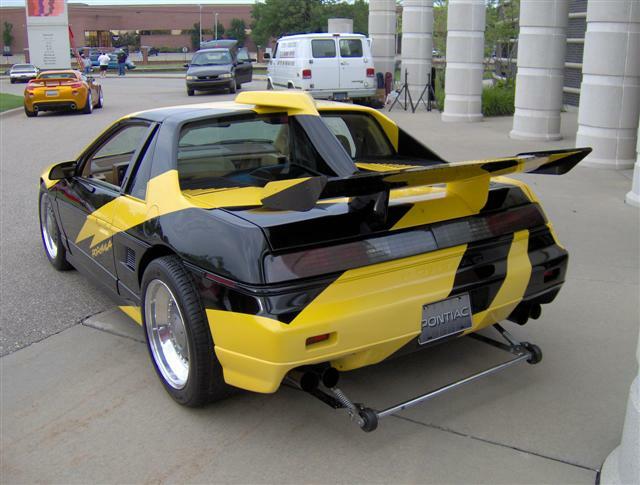 Pontiac Fiero 1983 Prototype: This model lacks the spare tire and is furnished with a carpeted front trunk compartment. 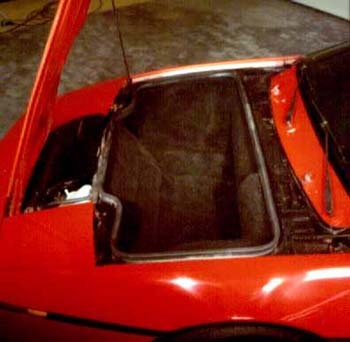 No matter where in the world it is today, each Fiero frame went through a 2.5 story Gilman mill-and-drill machine where its chassis was gauged at the tops and leading edges of both doors and centered cross-car, then drilled with 39 mounting points for the external body panels. 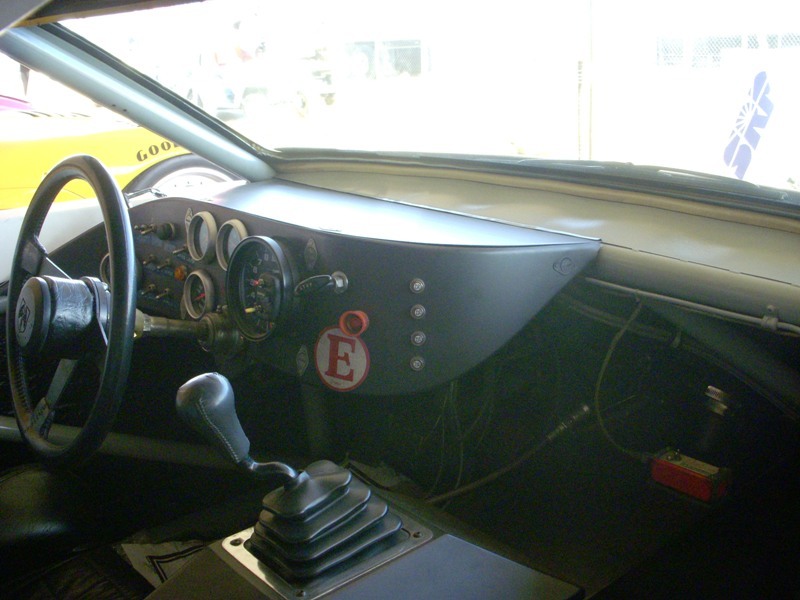 This precision allowed panels to be fitted within ± 0.50mm. 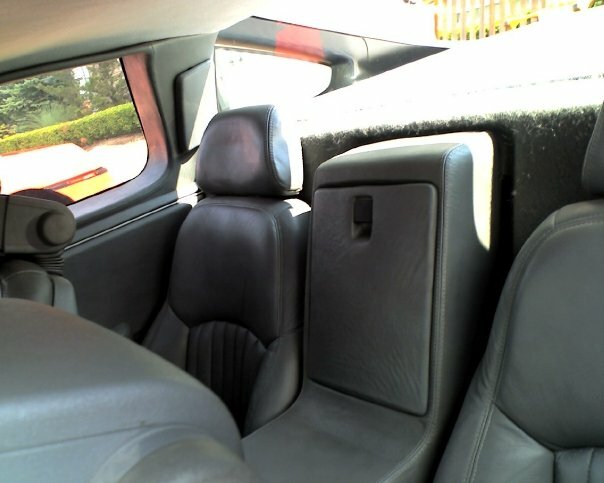 The entire process took less than 1 minute to complete.